Author: Gilman, Dorothy Set In . 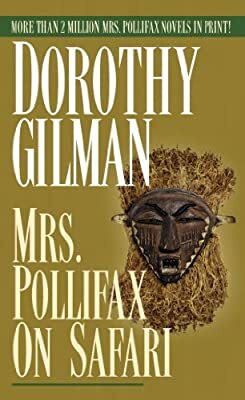 . .
Now the incredible Mrs. Pollifax has been sent on a safari to smoke out a very clever international assassin whose next target is the president of Zambia. It sounded simple enough. But it wasn't. Because shortly after Mrs. Pollifax started taking pictures, someone stole her film. And right after that she was kidnapped by Rhodesian terrorists. And right after that—well, read for yourself. . .